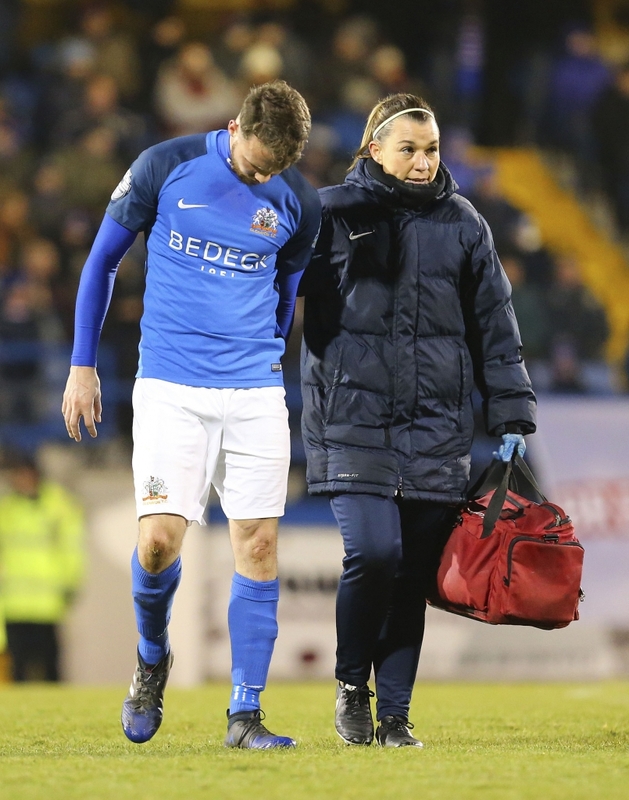 Glenavon slipped to their second league defeat of the season on Friday night, losing 1 – 0 to champions Linfield at Mourneview Park in what was a largely cagey affair. 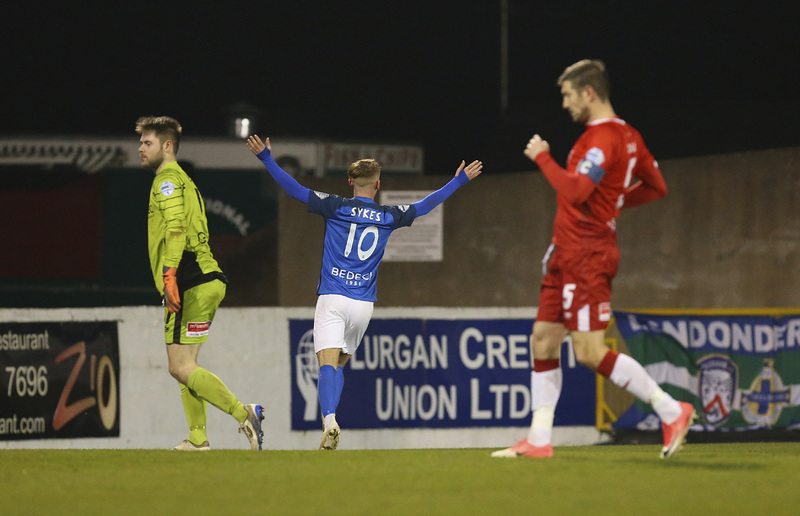 The only goal came in the 18th minute, when Cameron Stewart converted from Chris Casement’s corner. 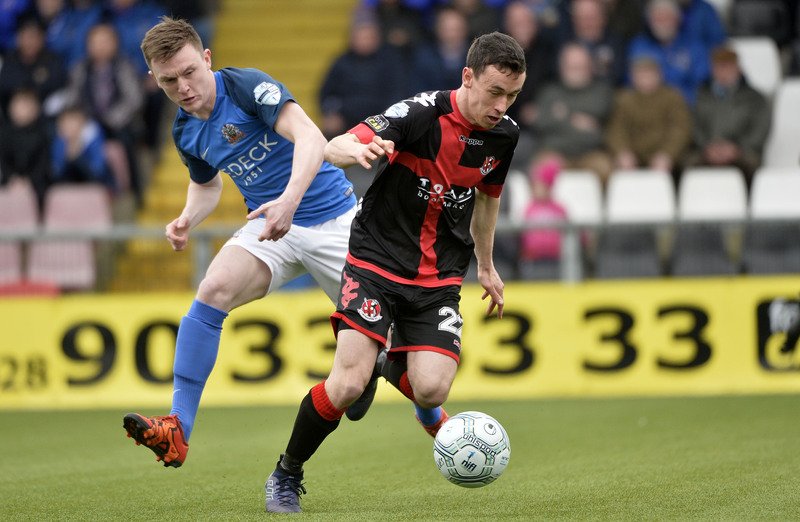 Anticipation levels were high amongst the bumper crowd packed into Mourneview ahead of the contest, but in truth the game failed to live up to expectations, and there was a particularly slow start to the match as both teams appeared to be sizing each other up. The first real opportunity didn’t arrive until the 15-minute mark. Andrew Waterworth beat Simon Kelly on the right and delivered a low cross which found strike partner Cameron Stewart, but the 20-year-old mishit his effort and Rhys Marshall was able to clear. Stewart atoned for his miss just three minutes later, however, when he scored the only goal of the game. Casement’s corner was a poor one, but it got a touch off Marshall and found its way to Stewart at the back post. He directed his header back across goal and into the far corner to make it 1 – 0. 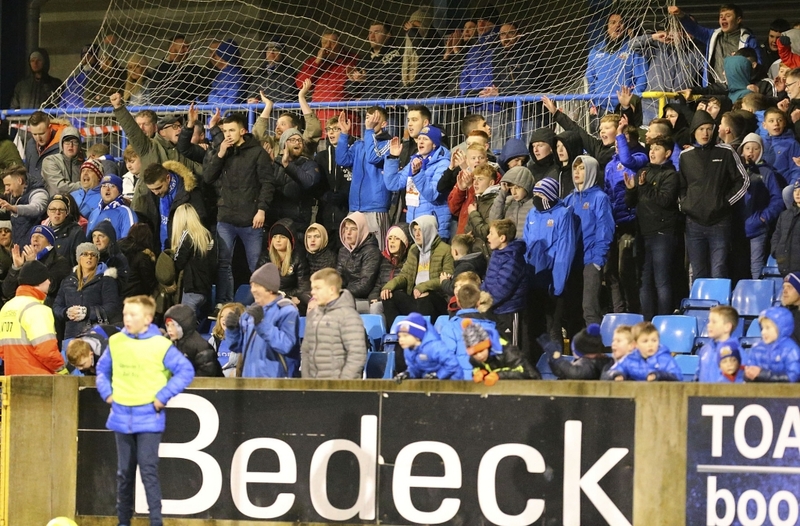 Glenavon players immediately protested claiming a push by the goal-scorer on Andy Hall but referee Ian McNabb ignored the protests of the Glenavon players and the goal was allowed to stand. Ten minutes later the visitors could have doubled their lead. Matthew Clarke played a long ball forward to the feet of Waterworth, who spun smartly to turn Andrew Doyle before carrying the ball past James Singleton and into the penalty area, but Jonathan Tuffey was equal to the shot. 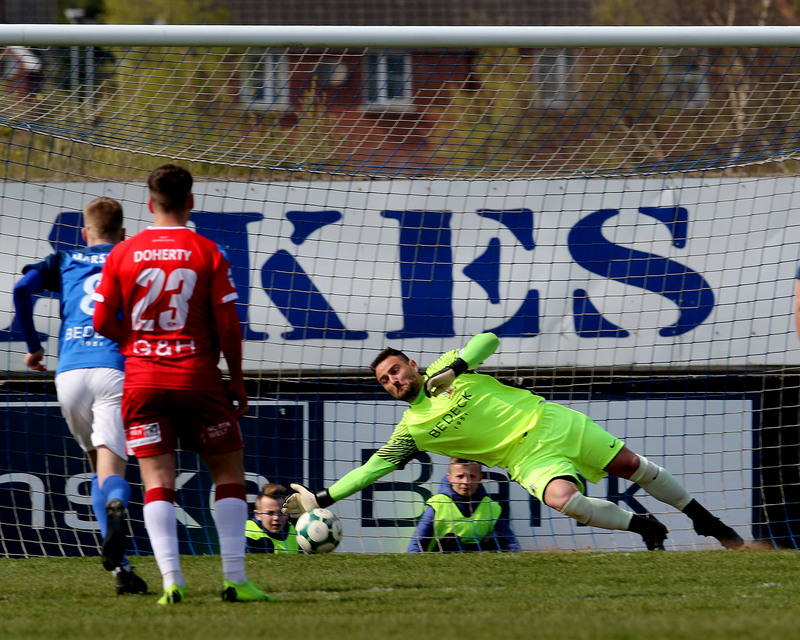 Glenavon enjoyed the majority of possession but they struggled to create any real chances. 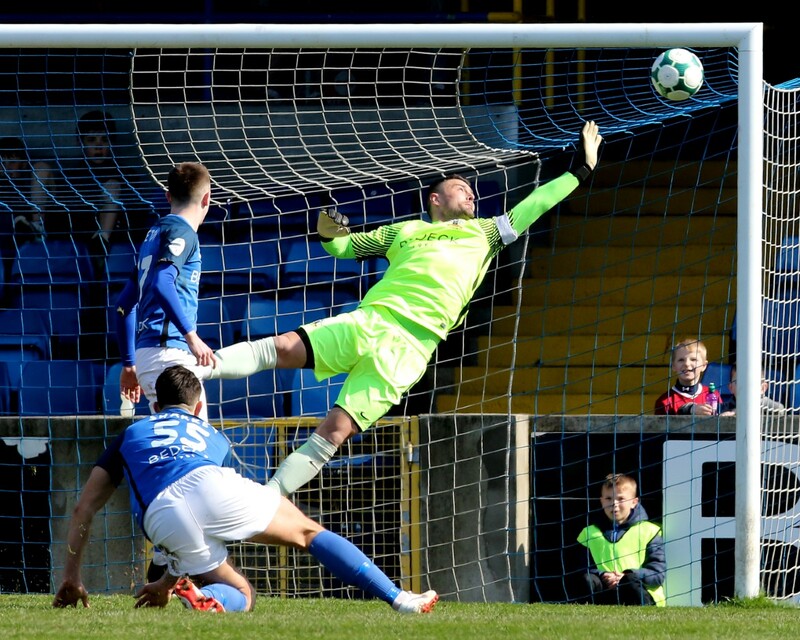 They had a rare opportunity on 33 minutes when Bobby Burns collected Singleton’s throw-in from the left and fed the ball inside to Mark Sykes, but the midfielder’s low left-foot shot was saved comfortably by Linfield keeper Roy Carroll. A minute later Andy McGrory replaced the injured Andrew Hall, and the winger went close with a dipping effort from distance when the ball fell to him following a Clingan corner. Linfield thought they had scored a second goal on the stroke of half-time. The excellent Mark Haughey won a header which led to a counter attack involving Cameron Stewart, Stephen Lowry and Niall Quinn. Clingan got his head to Quinn’s cross, but the ball fell to Lowry and he drilled his shot past Tuffey, only for referee McNabb to quickly rule the effort out, having deemed Lowry to have handled the ball before getting his shot away. The champions almost scored again at the beginning of the second half. Jordan Stewart found namesake Cameron on the edge of the penalty area, but Doyle did well to get the block in just as the striker pulled the trigger. The ball found its way back to Jordan Stewart and he twisted and turned brilliantly to fashion a shooting opportunity for himself. Tuffey dived to his right to deny the winger with a fine save and Quinn couldn’t adjust himself to turn in the rebound with his head. 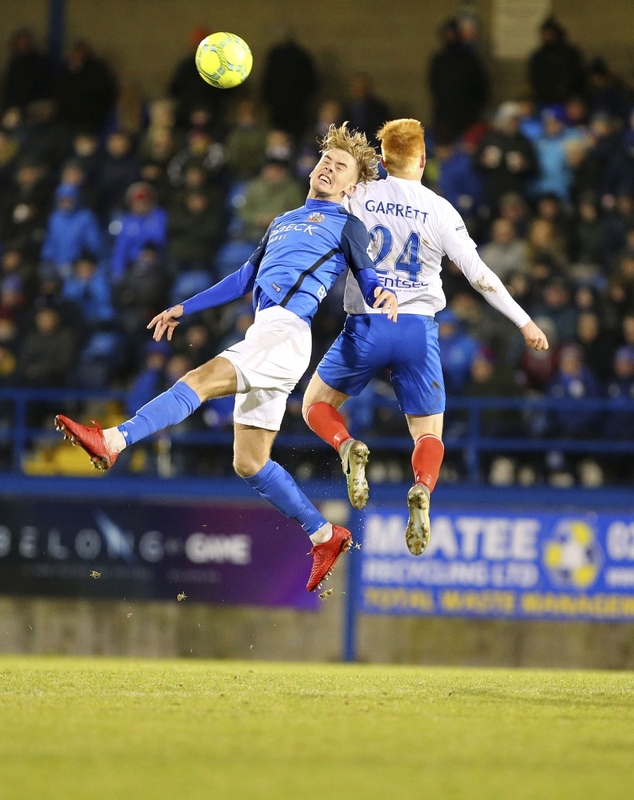 For much of the remainder of the game Linfield appeared to be content to sit on their lead, invite pressure from Glenavon and try to nick a second goal on the counter attack. Top scorer Andrew Mitchell endured a frustrating night up top for the Lurgan Blues. When he was presented with an opportunity following clever play by McGrory and Marshall on 50 minutes it was nothing more than a half chance and the striker couldn’t direct the ball goalwards from an awkward angle. Carroll made a routine save from a low Josh Daniels shot a couple of minutes later, but the ex-Manchester United keeper showed his class in the 60th minute when he leapt up to his left and got his fingertips to a rasping half-volley from distance struck by his former Northern Ireland teammate Clingan which was destined for the top corner. 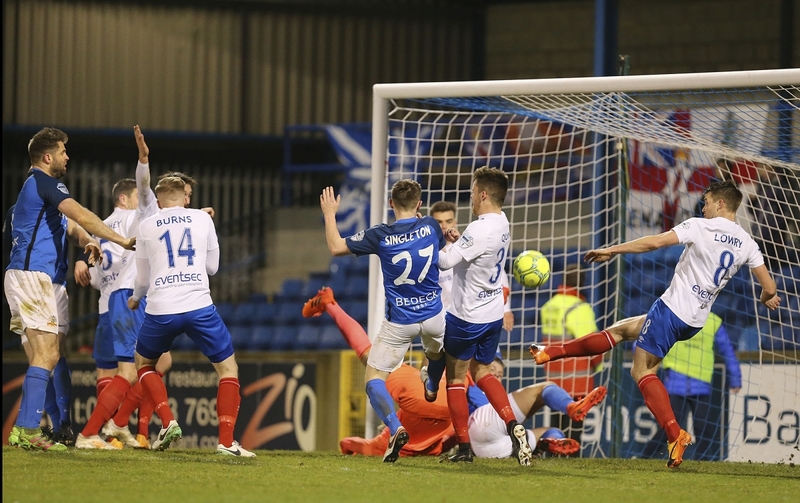 Linfield were always a threat on the break, and Waterworth might have grabbed their second five minutes later, but he dragged his effort wide. 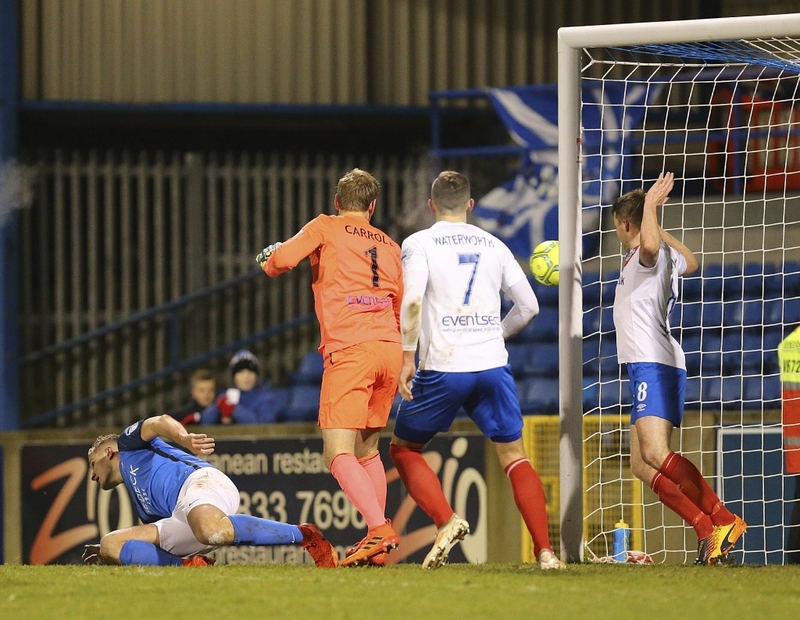 Glenavon kept pushing for the equaliser. On 86 minutes Haughey had to be careful not to turn an Andy McGrory cross into his own net. From the resulting corner Kelly nodded the ball down to Marshall, but the full-back could only turn his effort over the bar while under pressure from Mark Stafford. 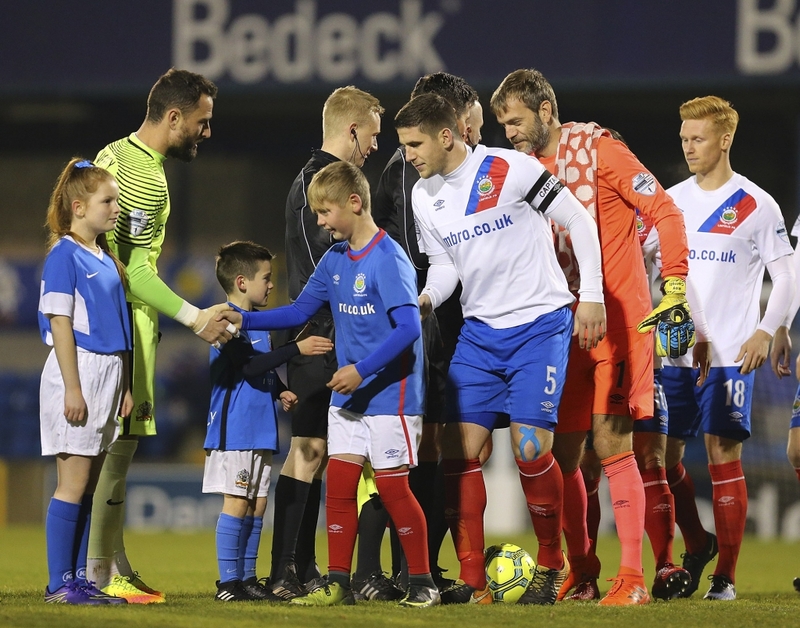 The home side had one final opportunity in injury time from a free-kick, but Clingan saw his effort hit the wall and the game finished 1 – 0 to Linfield, with Glenavon failing to score in the Premiership for the first time this season. 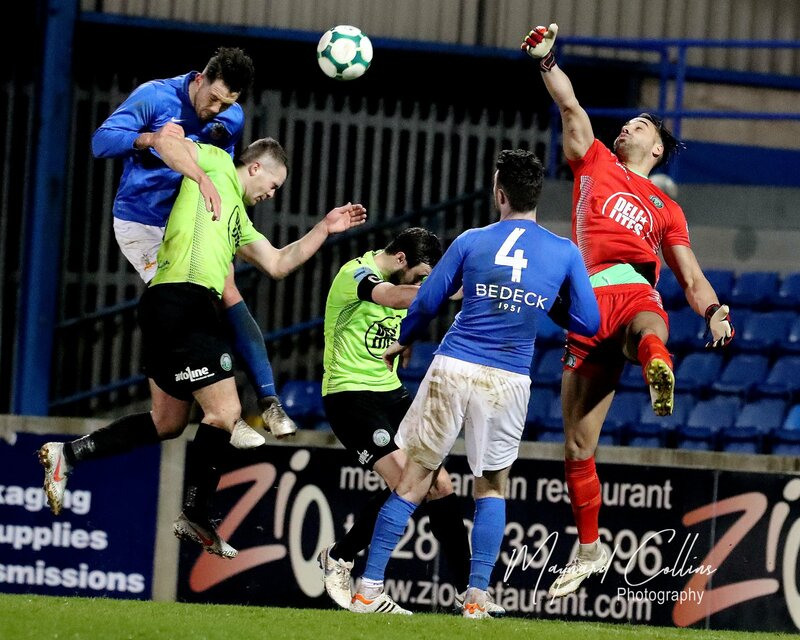 The Lurgan Blues will hope to bounce back from this defeat on Monday night (November 27th) when they travel to Shamrock Park to take on fierce rivals Portadown in the semi-final of the Mid-Ulster Cup (kick-off 7.45pm).